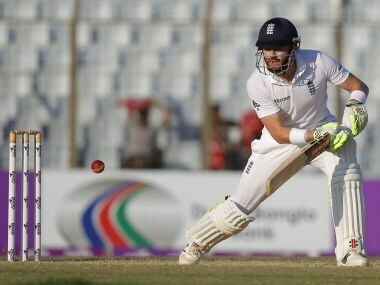 Dhaka: He's already become the most prolific wicketkeeping batsman in a calendar year and with six Tests still to go, Jonny Bairstow has the opportunity to set a record beyond reach -- and silence his critics once and for all. "It's a pretty amazing feeling," said England's Bairstow as he reflected on his achievement in shattering Andy Flower's 16-year record for most runs by a gloveman in Test match cricket. "There were a few mumbles floating around that I wasn't good enough," he admitted ahead of the second Test against Bangladesh which begins Friday. "You go back maybe two years and there are people writing you off to never play Test cricket again, (so) to then come back and prove a few people wrong with the way that I've been playing..."
The sentence was left unfinished but the normally self-effacing Yorkshireman is understandably proud of his achievements since the turn of the year, both with the bat and the gloves. During the first Test in Chittagong, Bairstow surged past Flower's tally of 1,045 runs in a calendar year during a match-winning partnership with Ben Stokes. It leaves him just 390 runs short of Michael Vaughan's tally of 1,481 runs in 2002, the record for the most runs by any Englishman from January to December. With England due to embark on a five-Test tour of India straight after the second Bangladesh Test, Bairstow should have ample opportunity to chase down that record. The volume of cricket means selectors are likely to rotate players but Bairstow will resist any offer of a rest, especially given how hard he has fought to regain his place after being dropped following England's disastrous tour to Australia three winters ago. Bairstow has also taken 53 dismissals in his 11 Tests behind the stumps so far this year, more than any of his peers. 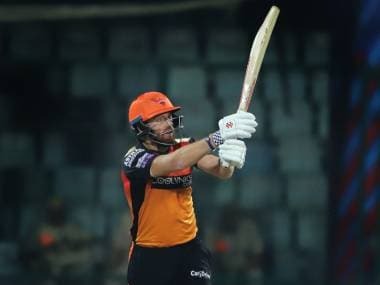 "There's still a lot of cricket to play this year, and hopefully I can carry on in the same vein with the bat and the gloves," said Bairstow. "Having missed out for 18 months after the Ashes and going away and working on my game and playing for Yorkshire and earning your place back, you want to play as many games as you can for England in every single format going. "It's only natural that a guy that's in the team wants to keep being in the team and playing all the time." His main rival is Jos Buttler, who impressed many by leading the side in the ODI series that preceded the Tests in Bangladesh after regular skipper Eoin Morgan refused to travel over security fears. Bairstow has been criticised for his keeping, particularly at the start of the last English summer, but he had arguably his most accomplished game behind the stumps on a sharply turning surface in Chittagong. The 27-year-old, whose late father also kept wicket for England, said he enjoyed being "in the game every single ball" but was aware that a couple of dropped chances would revive doubts about his quality. "I know how quickly things can change and the hard work that has to be done to keep improving. 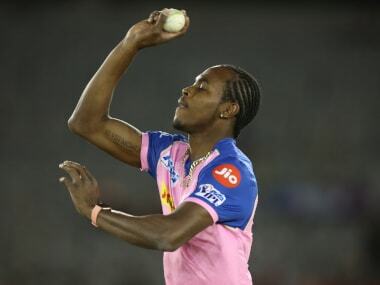 It went well but there might be two chances I put down in the next game," he said. "If I'm going unnoticed and keeping well that's the best way forward me, and I was very pleased to get some positive comments."